My first books: collections of short stories. I had Night Shift and Nightmares &amp; Dreamscapes. It wasn’t until I got Insomnia for Christmas that I really fell headlong for King’s writing style. My first books: collections of short stories. I had Night Shift and Nightmares &amp; Dreamscapes. It wasn’t until I got Insomnia for Christmas that I really fell headlong for King’s writing style. Stephen King and his family were staying at their lake house in Western Maine, near the town of Lovell. It’s a good time for the King family. All three of his and Tabitha’s kids are there, along with King’s first grandchild, who is at the time three months old. It’s the first time they’ve all been together in six months. While at his summer home, King walks four miles per day every day, unless it’s raining. Three miles of the walk takes him down dirt roads winding through the woods, while the last mile sends him along a two lane blacktop road between Bethel and Fryeburg, ME. King’s plans for this day are pretty mundane. He takes his younger son, Owen, to the airport before napping and going for his daily walk. The family plans to hit up a movie later in the afternoon -- The General’s Daughter, starring John Travolta -- but first his daily walk. It’s a habit I can sympathize with. Like many writers, King uses exercise to calm his mind and collect his thoughts. Not only that, he is known to carry a book with him on his walks, as he is this very day. Even though he’s prone to reading as he walks, he is not reading at this moment, because he is nearly done. He is just finishing up his daily 4 mi. walk, climbing a steep hill along the side of the highway, walking against the flow of traffic, when he is struck by a minivan. The driver of the van is one Bryan Smith, who was, at the moment of collision, distracted by an unrestrained dog in the backseat of his minivan. The Rottweiler, Bullet, has a brother back at home named Pistol, who doesn’t happen to make it along for this excursion. What Smith tells the police is that Bullet, around the time Smith’s van strikes Stephen King, leaps from the front seat to the back, where there is an Igloo cooler full of meat. Smith is worried the dog will nose open the lid and go diving for food. King lands in the ditch on the side of the highway, nearly fourteen feet away. His spectacles, oddly, land in the passenger seat of Smith’s van. This is the moment, when he sees the eyeglasses, that Smith recognizes he has not hit an animal but a person. Most of the sight lines along the mile-long stretch of Route 5 that I walk are good, but there is one place, a short steep hill, where a pedestrian heading north can see very little of what might be coming his way. I was three-quarters of the way up this hill when the van came over the crest. It wasn't on the road; it was on the shoulder. My shoulder. I had perhaps three-quarters of a second to register this. It was just time enough to think, My God, I'm going to be hit by a school bus, and to start to turn to my left. Then there is a break in my memory. On the other side of it, I'm on the ground, looking at the back of the van, which is now pulled off the road and tilted to one side. This image is clear and sharp, more like a snapshot than like a memory. There is dust around the van's taillights. The license plate and the back windows are dirty. I register these things with no thought of myself or of my condition. I'm simply not thinking. There's another short break in my memory here, and then I am very carefully wiping palmfuls of blood out of my eyes with my left hand. When I can see clearly, I look around and notice a man sitting on a nearby rock. He has a cane resting in his lap. As Smith sits on the rock, he has a look of mutual commiseration with King: Ain’t the two of us just had the shittiest luck. He seems to regard himself, according to King, as in just as much of a predicament as King, who is bleeding profusely and in a considerable amount of pain. When he looks down at his lower half, King says it appears his lap is on sideways, as if it’s been wrenched one turn to the right. He engages in a light back-and-forth with Smith about the extent of his injuries, before he passes out again. I've been doing this for twenty years, and when I saw the way you were lying in the ditch, plus the extent of the impact injuries, I didn't think you'd make it to the hospital. You're a lucky camper to still be with the program. There is more to this story. Stephen King is lucky to be alive after this incident on a few accounts. First of all, when his head smashed into Bryan Smith’s windshield, he missed the support post, which would have left him dead or permanently comatose. He also landed just shy of some rocks on the side of the road, and had he hit those, he’d have been rendered similarly not-alive. When he arrives at Northern Cumberland Hospital, they decide they can’t deal adequately with his injuries there, so he is lifted to Central Maine Medical Center in Lewiston. As he is loaded into the LifeFlight heli, his lung collapses, and they have to put a chest tube in. After they land, he’s wheeled in, and the extensive work begins. My lower leg was broken in at least nine places. The orthopedic surgeon who put me together again, the formidable David Brown, said that the region below my right knee had been reduced to "so many marbles in a sock." The extent of those lower-leg injuries necessitated two deep incisions—they're called medial and lateral fasciotomies—to release the pressure caused by my exploded tibia and also to allow blood to flow back into my lower leg. If I hadn't had the fasciotomies (or if they had been delayed), it probably would have been necessary to amputate my leg. My right knee was split almost directly down the middle, and I suffered an acetabular fracture of the right hip—a serious derailment, in other words—and an open femoral intertrochanteric fracture in the same area. My spine was chipped in eight places. Four ribs were broken. My right collarbone held, but the flesh above it had been stripped raw. The laceration in my scalp took almost thirty stitches. David Brown put my leg back together in five marathon surgical procedures that left me thin, weak, and nearly at the end of my endurance. They also left me with at least a fighting chance to walk again. A large steel and carbon-fibre apparatus called an external fixator was clamped to my leg. Eight large steel pegs called Schanz pins ran through the fixator and into the bones above and below my knee. Five smaller steel rods radiated out from the knee. These looked sort of like a child's drawing of sunrays. The knee itself was locked in place. Three times a day, nurses unwrapped the smaller pins and the much larger Schanz pins and swabbed the holes with hydrogen peroxide. I've never had my leg dipped in kerosene and then lit on fire, but if that ever happens I'm sure it will feel quite a bit like daily pin care. King entered the hospital on June 19th. By the thirtieth, he was sitting up, and he managed to go three steps to a nearby toilet. He went on to physical therapy and was able to take ten steps with the aid of a walker. He manages to sit up in a wheelchair on July 4th long enough to be wheeled outside to watch the fireworks. Over the course of his hospital stay, King loses fifty pounds. He weighed 216 lbs. in 1997 and ended up at 165 lbs. the day he leaves the hospital. Approximately five weeks later, Stephen King, he picks right back up where he’d left off before the accident and begins writing again. He’s still on crutches at this time, but he can feel the urge to continue writing drag him to his desk. Because of the pain and the many injuries, he can’t sit and write at the word processor, but manages to rig a system at the kitchen table. He sits at a wheelchair, propped up by foam cushions, and works on a new novel, writing longhand. Smith is indicted on two counts: driving to endanger and aggravated assault. He pleads guilty to driving to endanger, and is sentenced to six months imprisonment, sentence suspended. His driver’s license is also suspended for an entire year due to the nearly dozen violations on his record. He’d had a long history of chronic pain, resulting from another accident he’d experienced in 1979. He lived on disability and the occasional jobs he was able to get. 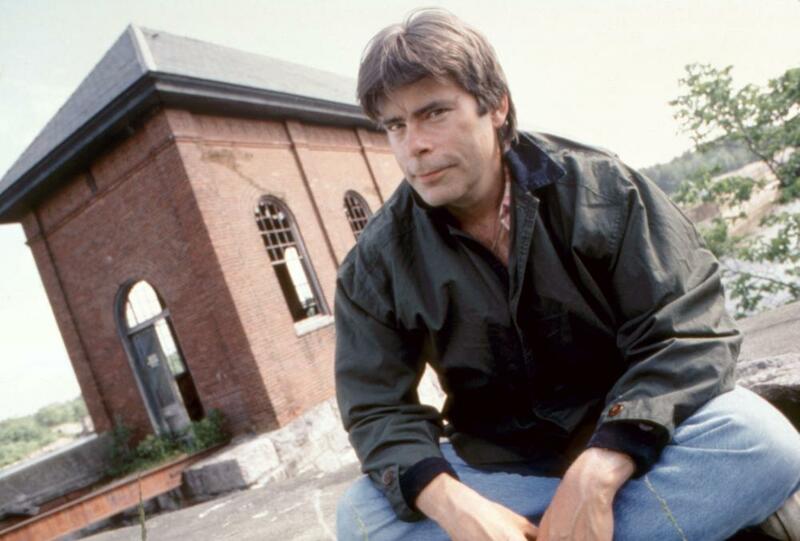 In the year following the Stephen King accident, his family reports he suffered severe remorse and was continuously deteriorating physically. Just because it’s Stephen King. He can make up his own laws, his own rules. I’m being used as a guinea pig. I know I hit him. I didn’t mean to. Somebody can’t accept that. Why can’t they accept it was an accident? A year later, Smith would be dead. His brother, a deputy sheriff of Fryeburg, Maine, opens the door to Smith’s trailer to find the 43-year-old in his bed. He appears not to have suffered, and the pill bottles on his bedside are the sign to indicate the reason for his expiration. It comes out in his toxicology report that he’d suffered an accidental overdose of fentanyl, which he’d taken for chronic back pain resulting from an injury.